Denna vackra duk är förlagan till Nobelduken och hittades av Röhsska Museets chef Helena Dahlbäck-Luttermans hos friherinnan Lea Åkerhielm på Dylta Bruk i Närke. 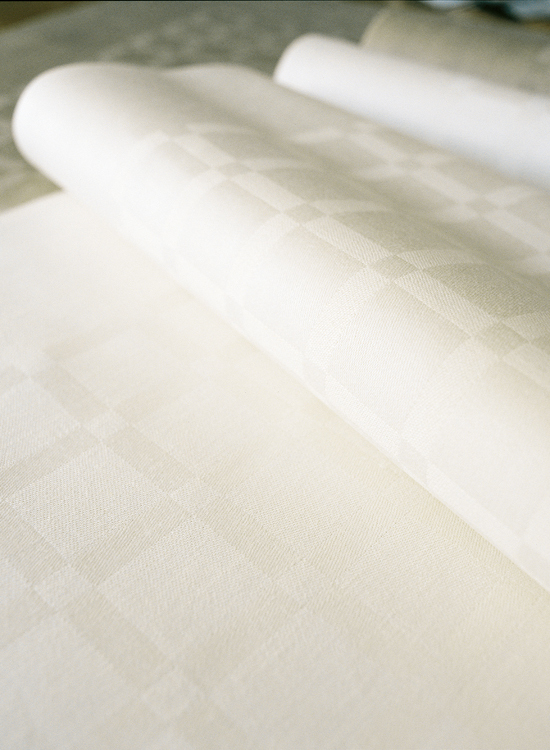 This beautiful cloth is the original pattern of the Nobel-tablecloth. It was found by the manager of Röhsska Museet, Mrs Helena Dalbäck-Lutteman, at the mill "Dylta-bruk", owned by Mrs Lea Åkerhjelm. The original is woven with rather course selfspun, unbleached all-linen yarn. The reproduction takes charge of all the prerequisites of the original. 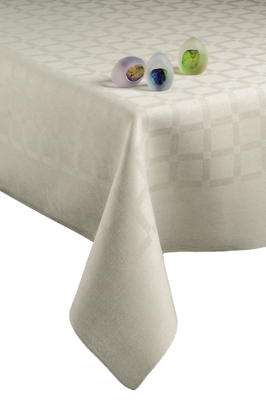 The tablecloths is to be used often, it becomes more beautiful the more it is washed. Cold-mangling is important for the perfect result.